Seize power for your gear and gadgets with these deals on charging tools. 3 outlets and 4 USB ports make this travel-friendly power strip a comprehensive charging solution. The more we rely on our digital devices, the more chances there are to run out of juice at just the wrong moment. But the essential charging gadgets in this roundup can meet anyone’s thirst for power. There just never seem to be enough outlets for all the devices in our lives. 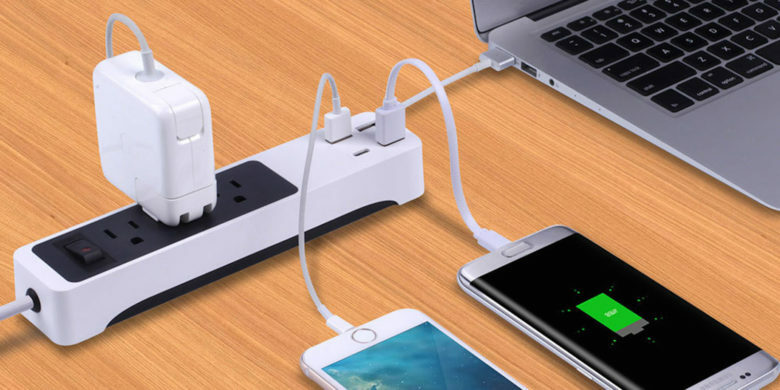 This travel-ready power strip changes that, with 3 surge protected standard outlets, 3 USB ports and a USB-C port that together can charge up all your gear simultaneously. At only 8 inches long, it’ll fit into any bag, meaning you’ll always have the juice you need, no matter where life takes you. Buy now: Get a Kinkoo 3-Outlet Surge Protecting Smart Power Strip for $24.99, that’s 28 percent off the usual price. Turn your desk into a high-powered charging station with 5 USB ports and 2 AC power sockets. This is a great way to keep all your devices in one place while they charge up. With five 60W USB ports and two AC power sockets in a single compact dock, this dock will save space and cut clutter. 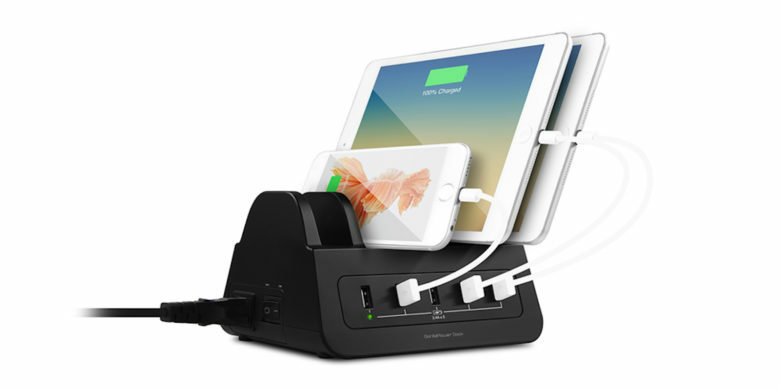 Charge up to five devices at once, and power a computer or small electrical appliance straight from the dock. Everything is protected from surges and overheating thanks to built-in security measures. Buy now: Get a GorillaPower 5-Port USB and Power Dock for $59.99, that’s a 33 percent discount. 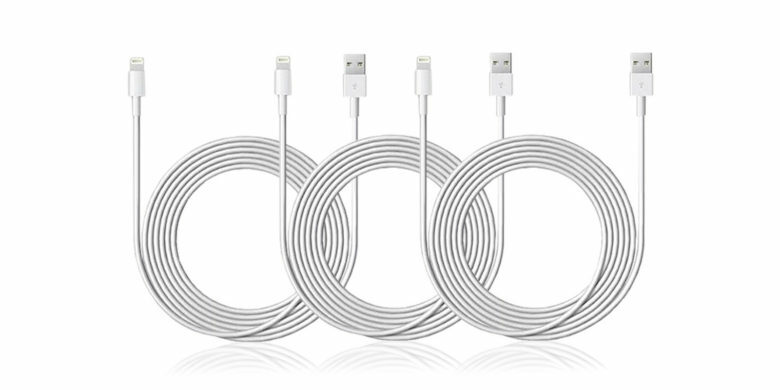 Charge and sync your Apple devices with these extra-long MFi-certified charging cables. Using iOS devices means using Lightning cables that are prone to fraying and getting misplaces. This trio of Lightning cables not only means you’ll have triple backup — they’re also 10 feet long, offering extra reach. Plus they’re MFi-certified, meaning you can rely on them to transfer data and juice up your gadgets. And the kicker is that this whole set costs less than a single standard Lightning cable from Apple. Buy now: Get this 3-pack of extra long Lightning cables for $22, that’s 75 percent off the usual price. 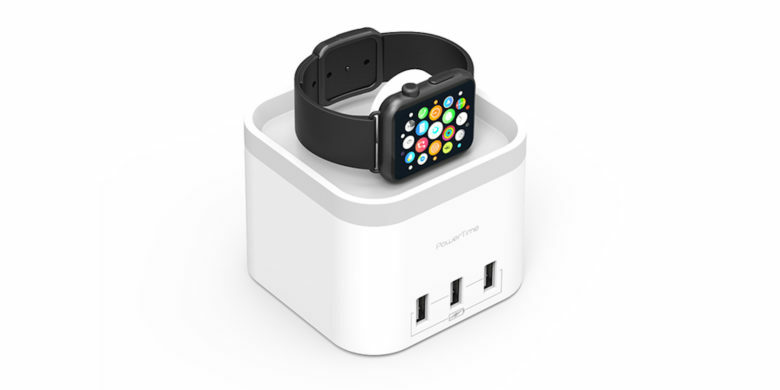 Wirelessly charge up your Apple Watch and connect up to 3 USB devices at once with this sleek hub. This charging dock feels almost magical, letting you charge your Apple Watch without any wires. Just set it on the silicon layered, anti-scratch platform and watch the battery recover. You can also charge up your other devices, with the three built-in USB ports that optimize speed based on whatever device you connect to them. This is more than just advanced tech, it’s also a great space saver and it’s just plain cool looking. Buy now: Get a PowerTime Apple Watch Charging Dock for $44.99, that’s 8 percent off the usual price.